This is one of the best TED Talks I’ve seen. 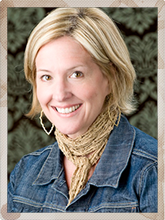 Brené Brown, Ph.D., LMSW is a research professor at the University of Houston Graduate College of Social Work. She has spent the past decade studying vulnerability, courage, worthiness, and shame. Brené is a nationally renowned speaker and has won numerous teaching awards, including the College’s Outstanding Faculty Award. 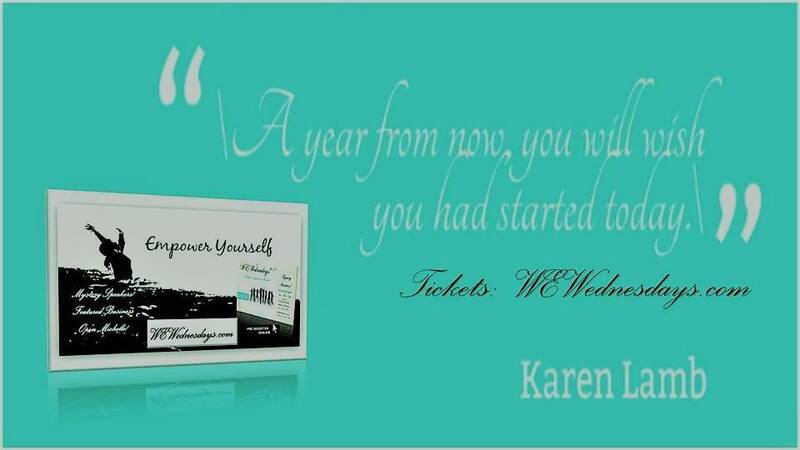 Her groundbreaking work has been featured on PBS, NPR, CNN, and has appeared in The Washington Post, Psychology Today, and many other national media outlets. Her 2010 TEDx Houston talk on the power of vulnerability is one of the most watched talks on TED.com, with over 6 million views. She gave the closing talk, Listening to Shame, at the 2012 TED Conference in Long Beach. 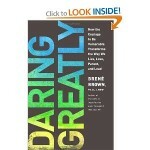 Brené is the author of the #1 New York Times Bestseller Daring Greatly: How the Courage to Be Vulnerable Transforms the Way We Live, Love, Parent, and Lead (2012). 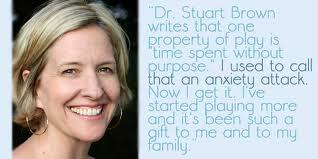 She is also the author of The Gifts of Imperfection (2010), and I Thought It Was Just Me (2007). In 2007, Brené developed Connections, a psychoeducational shame resilience curriculum that is being facilitated across the nation by mental health and addiction professionals. The Connections Certification process was launched in 2012. Brené lives in Houston with her husband, Steve, and their two children. Sublime mix of fascinating research results and theory on our thoughts and behavior, shared by using wonderful heartfelt stories with the most delightful sense of playfulness. It will give you good cause to pause and reflect – and it will most certainly make you smile. One of my favorite quotes (of which there are several) from this master ‘research storyteller’ is: “Maybe stories are just data with a soul.” Yes. If you enjoy Dr Brown’s TED Talk, please post your thought in the comments below. There are so many ideas worth spreading in here that it would be well worth sharing them. Thank you. This program offers professionals across the helping field the opportunity to gain highly specialized training and certification to facilitate Connections with their clients. Shame underlies the vast majority of presenting issues that we see, yet it’s extremely difficult to address. The certification process gives facilitators the skills, knowledge, and awareness to understand shame, identify how and where it’s showing up in our work and in the lives of our clients, and how to work with clients to cultivate shame resilience so they can begin to explore the power of love, belonging, and being enough. Connections certification is open to a broad base of professionals in the helping field. Students can also begin certification but must be fully licensed in their field before receiving designation as a Certified Connections Facilitator (CCF). All students must complete the certification process within two years of the initiation of Connections training. Approved CEU provider for NASW, NBCC, TSBSWE, TSBEMFT, TSBEPC, TCBAP, NAADAC, and ICF. Fifteen (15) hours of continuing education will be available through the certification process, which includes three (3) hours of Ethics. Because the Intensive Retreat portion of the certification process is about completing your own work, continuing education credits are not available for the Intensive Retreat. The Connections Certification Team of Trainers believes that the best people to facilitate this work are those who do their own work of cultivating shame resiliency. Connections Certification, LLC maintains responsibility for the program and its content. Be connected with a growing community of professionals and gain access to peer support, case consultation, exchange of ideas, and other practice development skills and tools. The Connections Community is an open forum restricted to certified facilitators and candidates. Become part of Brené’s Connections referral network. Our team currently receives hundreds of requests for facilitator recommendations. These requests are from folks have read Brené’s books, heard her speak, or have watched her TEDx Houston talk on vulnerability (2.5+million viewers). Certification will allow us to create a network of professionals who have the specific skills necessary for facilitating the curriculum and a deep understanding of the research that underpins the clinical application. Build your practice, increase referrals, improve your marketing and brand. Be recognized as an expert in Brené’s Connections work. Gain access and authority to use Brené’s Connections branding, graphics, and other materials to promote your practice. Receive priority registration for Connections events and trainings around the country. Earn continuing education credits. The national trainings offer 15 hours of CEUs, including 3 hours of Ethics. Be on the forefront of groundbreaking research and the implementation of new work as it is developed by Brené and her team. Brené will be expanding the curriculum over the next two years. Certified facilitators will have access to the new material in Beta form and will have the opportunity to be the first ones trained. The revised and expanded edition of Connections, now published by Hazelden, draws on empirically based strategies to help clients recognize shame as a universal experience and embrace wholehearted living as a foundation for shame resilience. Connections engages clients on a cognitive, behavioral, and interpersonal level. Clients learn via group and personal exercises, handouts, and reading assignments from Brené Brown’s best-selling book I Thought It Was Just Me (but it isn’t): Telling the Truth About Perfectionism, Inadequacy, and Power. The Connections curriculum includes a three-ring binder with facilitator information and lesson plans for twelve sessions, a 114-minute DVD, and a CD-ROM containing reproducible client handouts. The DVD features talks with the author that are keyed to the sessions as well as an introduction to the curriculum. Summaries of the assigned readings and DVD sessions are now included with the client reproducible handouts on the CD-ROM.